We are offering Pipe Clamps to our client. 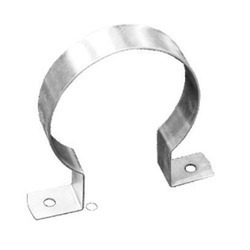 With the help of skilled and talented professionals, we are engaged in providing Collar Clamp. These are manufactured using high quality raw material as per set industry norms. Our products are appreciated by our clients’ for their corrosion free properties. Clients’ can avail these at cost effective price range. Size Range: 1/2"-6", 1/2"-2", 1/2"-8'', 1/2''-10", 1/2"-4"
Size Range: 1/2"-4", 1/2''-10", 1/2"-2"
Backed by years of practice, we are affianced in providing a wide range of Pipe Clamps. To ensure its quality, this product is checked against many quality parameters by quality examiners. To fulfil the exact requirements of our customers, we are dedicatedly engaged in offering a high quality assortment of Pipe Clamp. We provide this range in different lengths and specifications. 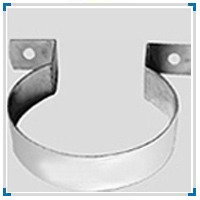 Being a leader in this industry, we are devoted towards providing a premium quality array of Cast Iron Collar Clamp.